Sitting on a deck chair staring out over my apartment’s rooftop pool towards the vast and beautiful Vietnam Sea, I began to shoot free throws without a basketball or a hoop. The action is not literal, for if it was I’d probably cause significant damage to those on the ground. It’s figurative, fundamental, and it becomes a practice that only develops after a series of introspective, late night discussions, and mid-afternoons spent in a fog even on the clearest of days. Living this nomadic travel adventure creates constant change and each change becomes a different season. Walking around the cities of the world, I listen to different music in different places, listen to different podcasts, and see different sites. Each sticks with me in a way that I’m able to reflect on a memory or a thought and remember the exact place where I was when it hit me. I can think back to a lesson learned and visualize the scenery where that lesson emerged. For each of the last 3 years, we’ve traveled through 11-12 countries and numerous cities in a given year. Each place is its own season, offering new experiences and lessons. Three years earlier, my wife and I visited Da Nang, Vietnam for five days during our belated honeymoon trip. Today, it looks drastically different and ironically, I had a sense that it might three years ago. It’s a prime spot and a great secondary city. Though it is the country’s third largest city (with about 3 million people), in many ways it feels like a large, country town. It has one of the most beautiful coastlines in the region and is surrounded by nature and numerous historic sites. 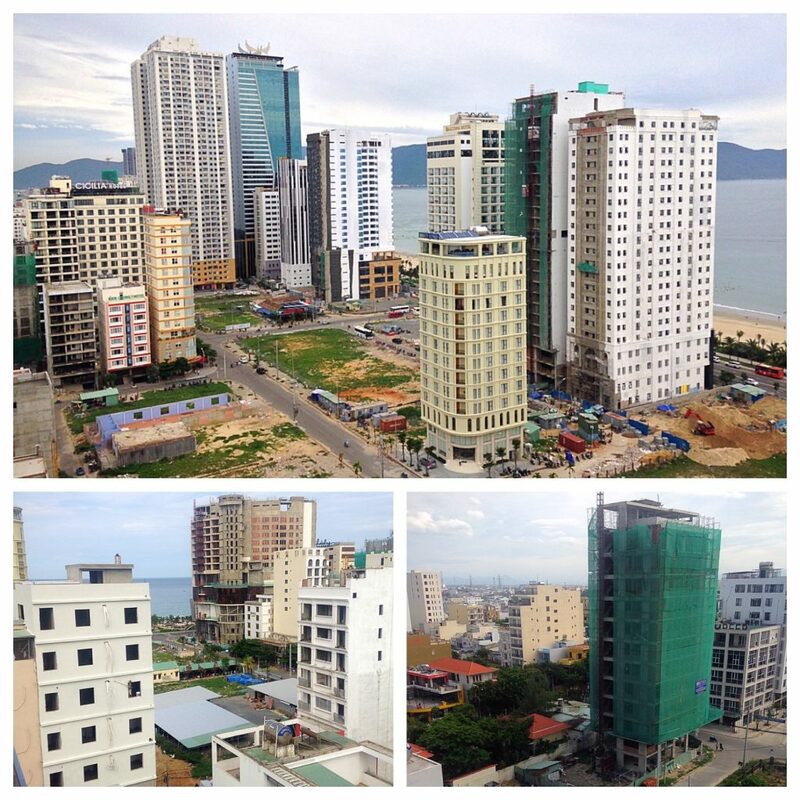 It’s hard to put into words how much the coastal landscape in Da Nang has changed in just these last three years. When we first visited in 2015, I couldn’t believe how undeveloped the area appeared for place with seemingly so much potential. 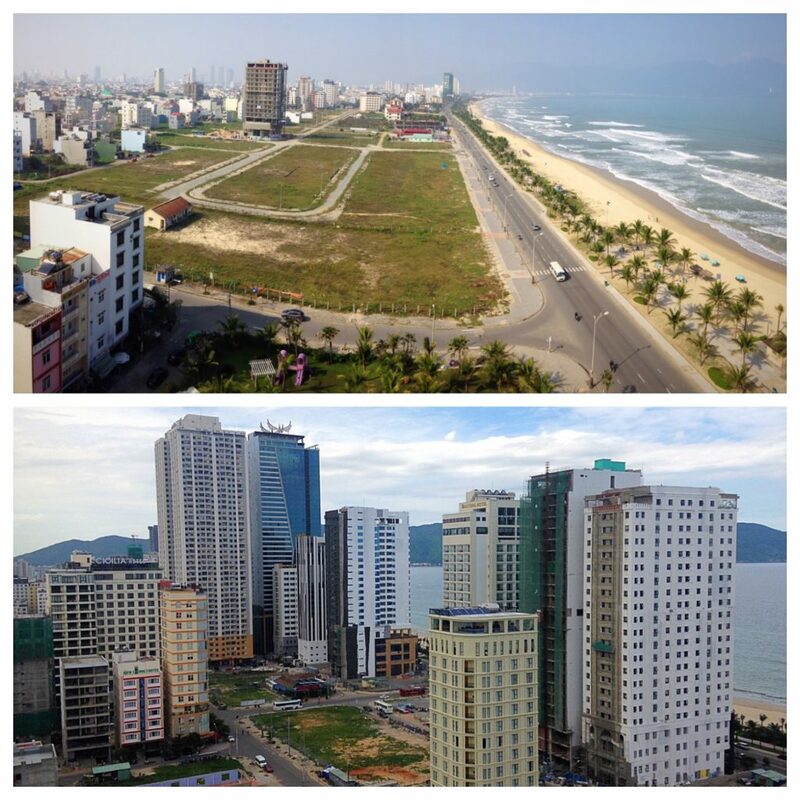 However, given the fact that Vietnam didn’t open up to major foreign investment until the mid 1990s and then the Asian Financial Crisis hit in 1997, followed by global recessions after both the dot com bubble burst in the early 2000s and the 2008 financial crisis, Da Nang was simply not major investment location. But as investment opportunities started to increase in the northern and southern capitals, thereby reaching a saturation point, capital started to flow out of the major cities. Quickly, Da Nang has become a hot spot for both affluent Vietnamese in the major cities and foreign investors throughout the region. The collage below illustrates just how much things changed in three short years. Every building in the picture below is new except for the Cicilia Hotel (top picture center-left), which was being erected at the time. The city is now beaming with tourists flowing in primarily from Japan and Korea. Whereas in the central area of town one can find numerous shops and storefronts with Vietnamese and Chinese signage, most of the signage along the tourist enclaves in the coastline neighborhoods is full of Japanese and Korean lettering. As the middle class has risen in the northern Asian nations in recent years (especially the millennial middle class), their Yen and Won have begun flowing into the hospitality industry in Vietnam’s third largest city. And barring any upcoming major financial pullback, it seems these monies will continue to create massive expansion in the area. It now appears that the city is in the middle stages of a decade-long construction boom. There are construction sites everywhere – such we felt like we were living in a “construction warzone.” Streets are being torn up to make way for utility lines. Dump trucks and construction vehicles dominate the streets during the day. Hotels are going up at seemingly record pace and being built in a manner that would never fly in the more developed economies in the world. Yet, this is what investment and development looks in emerging markets economies. After spending the previous six weeks hopping across Western Europe, the US, and Taiwan, we were ready to settle in for a month in Da Nang. We had just visited Hoi An with friends a few months earlier and had visited Hue (the imperial city about 2.5 hours north of Da Nang) during our belated honeymoon trip. So we didn’t feel the need to set off on the weekends and explore these popular regional destinations. Given the stifling heat, humidity, and lack of shade in much of the “My Khe” (pronounced “Mee-Kay”) neighborhood where we stayed, we also didn’t explore too much during the week either. The heat and humidity were one thing, but add the massive amounts of construction – complete with construction vehicles, tour buses, taxies, motorbikes, and narrow streets not originally designed for two lanes of car traffic – and you get a recipe for constant annoyance and limited mobility. Typically, I prefer to live in places where I can walk and explore. I enjoy waking up in the mornings and going on long walks, listening to podcasts, and getting lost in cities. By getting lost, I discover new things…both figuratively and literally. Yet, the environment was simply not conducive to my usual daily activities. The sun was simply too fierce, the shade too absent, and humidity and traffic too much to bear. Instead, I resigned to a handful of local cafes, only a 5-minute walk from our apartment for my daily outings. The afternoons were mostly spent sitting aside the rooftop pool catching up with reading, writing, and podcasts. It’s easy to see how quickly the city began to narrow for me. I soon began to feel trapped in a place of contradictory beauty. From the sky, Da Nang looks amazing and beauty is all around. Yet, life on the ground is a bit less beautiful and more challenging. Oftentimes, I’d peer over the rooftop deck and stare out over the city, admiring the scenery in all directions without any desire to descend down into the organized chaos. However, I knew I couldn’t last four weeks feeling that way and I needed to adjust my perspective to find a better way to maximize my time in the city. 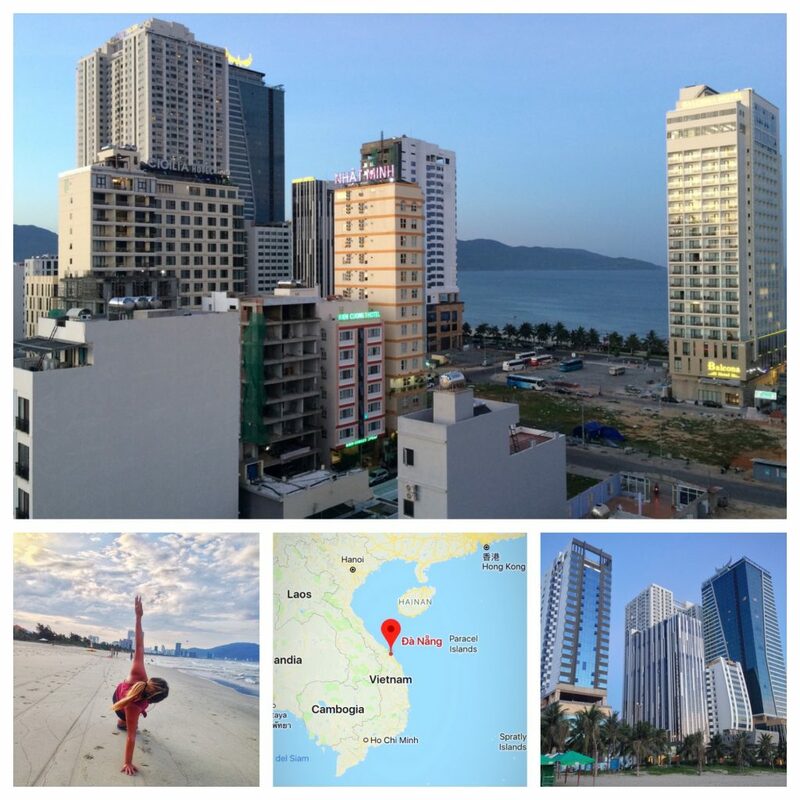 During my time in Da Nang, I had a couple of late nights phone chats with my friend Duke – a fellow nomadic traveler who I met a couple of years ago in Chiang Mai. He’s an intellectual guy who offers a lot of depth and different perspectives. He has a way of communicating allusions that get my brain firing. He’s lived this lifestyle for quite a few years, experiencing some of the same pendulum swings of satisfaction. One particular night, he alluded to focusing on the fundamentals, as a way to re-engage with the simple parts of my life that give me energy and spark creativity. For the first couple of weeks, I had been focusing on all that I couldn’t do given the limitations noted above. I couldn’t walk around like I wanted. I couldn’t get lost exploring different neighborhoods during the day. I didn’t want venture out on the weekends. And these limitations were affecting my psyche, such that I felt trapped, simply waiting for the days to pass until we left for Chiang Mai. But soon an image emerged in my mind that crystallized my conundrum. I thought back to my days in college when I played street basketball pretty much everyday for 4 years straight. I thought back to those days when I’d practice in the gym, sometimes alone for an hour or two, taking countless jump shots. I thought back to what I would do when my shot was off and that was it…shoot free throws. There is something so calming and resetting about stepping to the free throw line…taking a few rhythm dribbles, spinning the ball in my hands, setting my shot, and letting it fly. No matter how bad I may have been shooting on a given day, I could always reset myself at the free throw line and I loved shooting until my shot came back. For me, it’s a feeling very similar to being in the flow of speaking a foreign language or landing an airplane. Everything just feels right and I am completely relaxed. 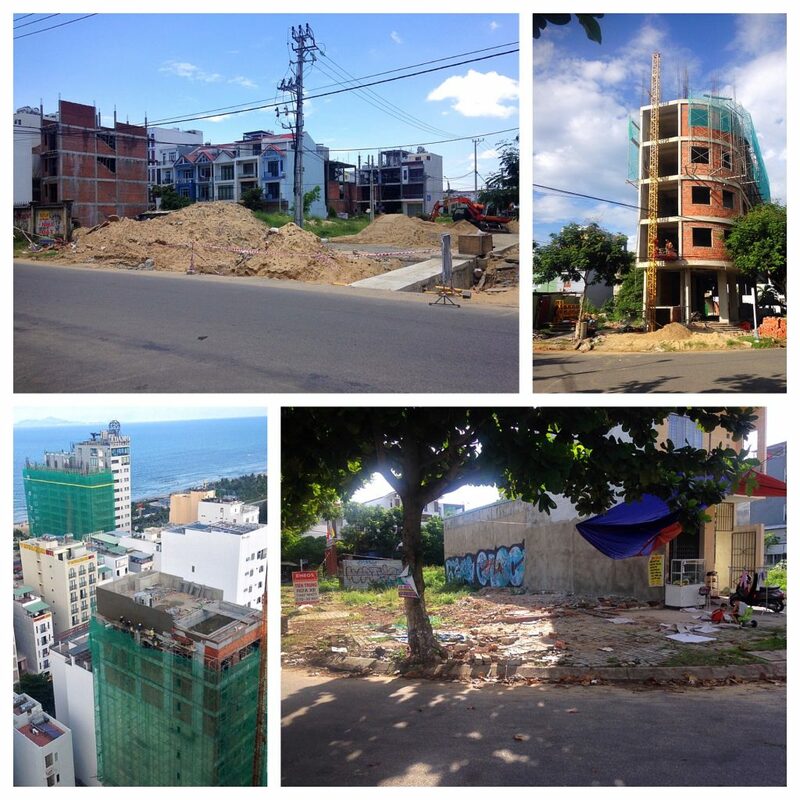 So I began to shoot free throws from the rooftops in Da Nang – again, not literally but figuratively. 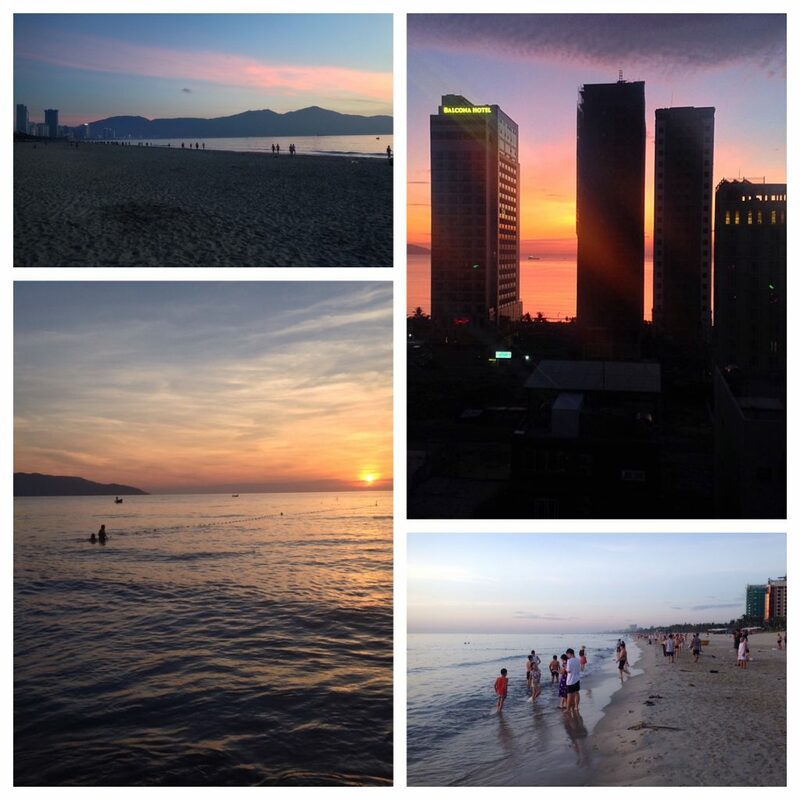 I began search for all the things I could do in Da Nang to get the most of out of our short time there. 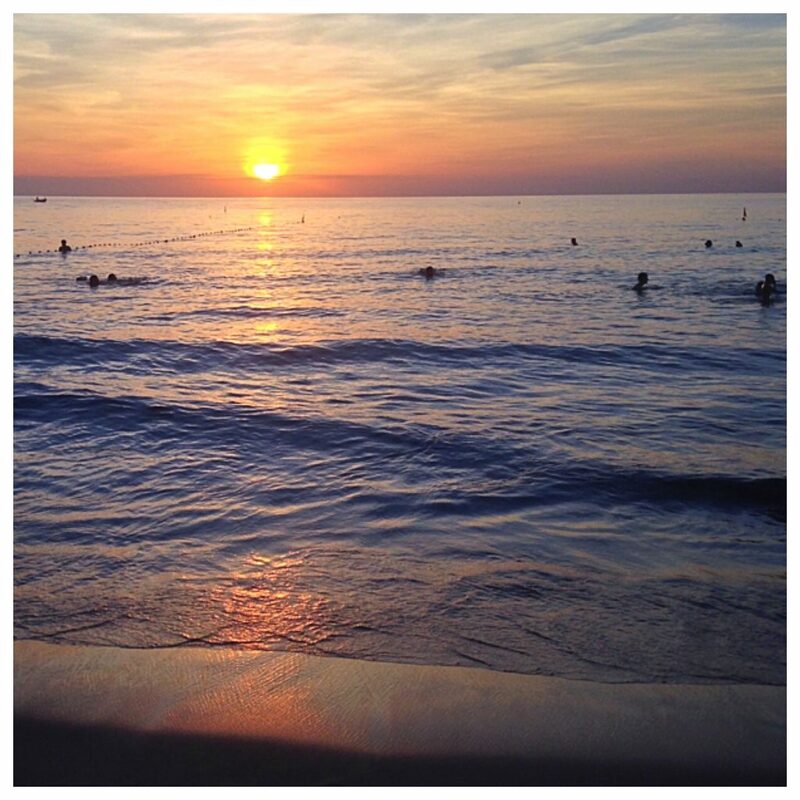 I began to look for and attend meet ups (similar to my time in Valencia) as a way to connect and converse with local, location-independent travelers. 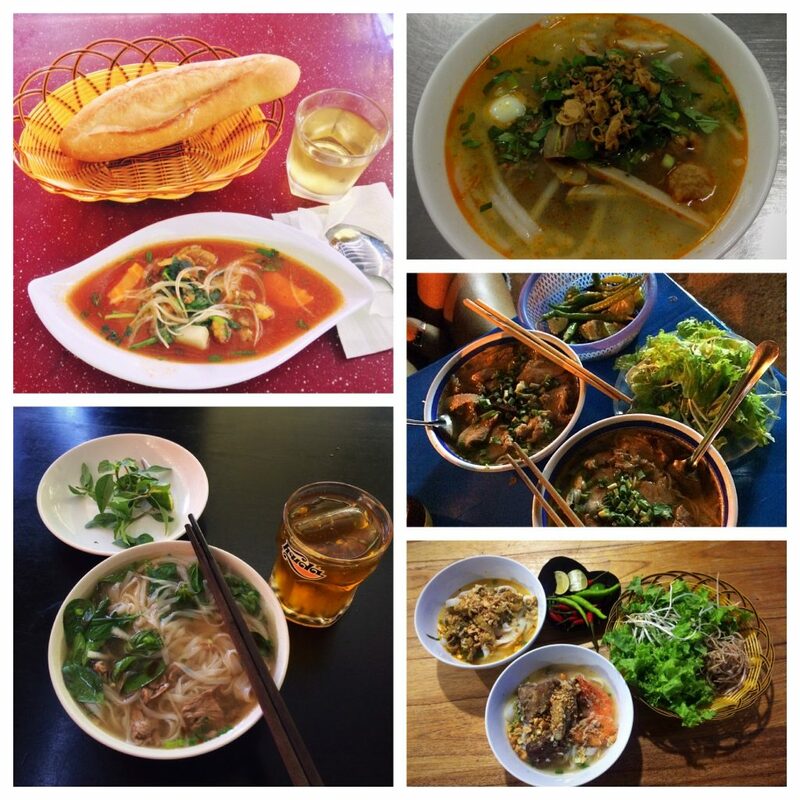 My wife and I began to make it a point to explore different street food stalls in the area to sample some of our favorite Vietnamese dishes. We also gave ourselves the challenge of visiting as many rooftop bars as possible in the area. 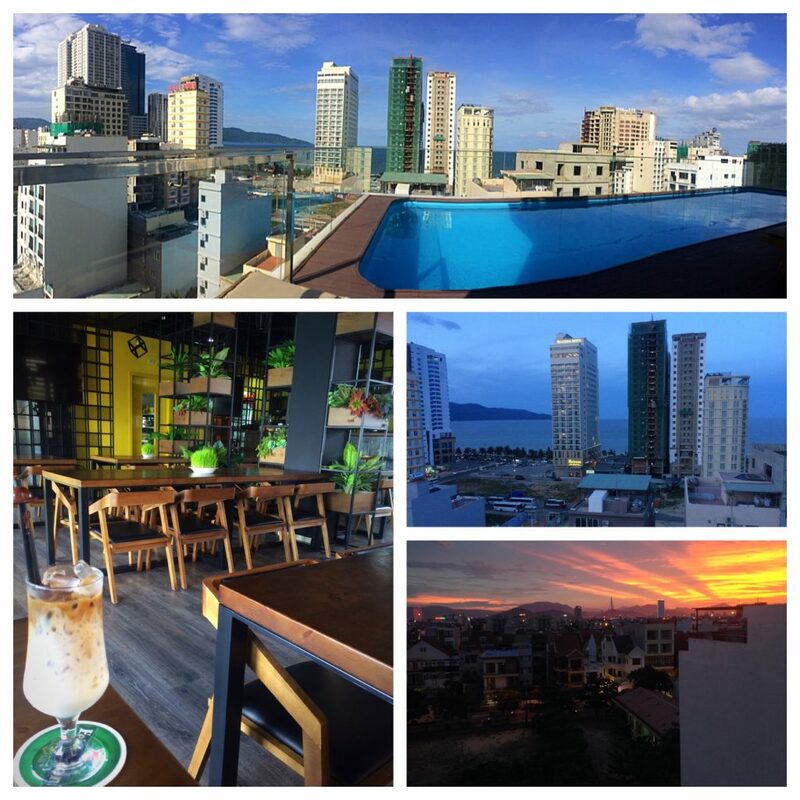 With such an amazing coastline, rooftop bars are main attraction in Da Nang. By the end of our stay, we had visited seven of the best bars in the area. 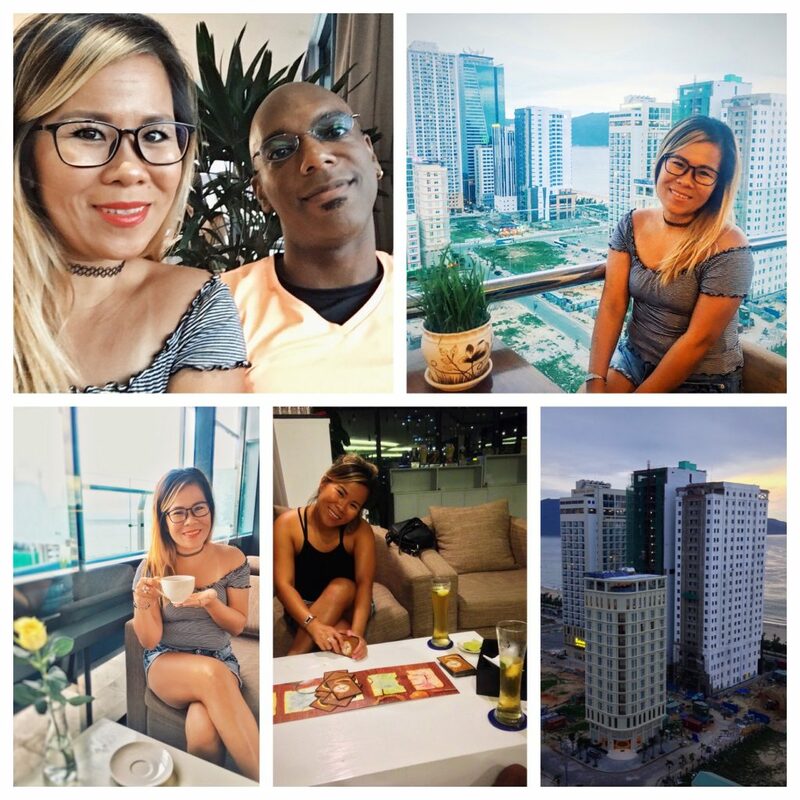 We had late afternoon teas atop a rooftop lounge overlooking the beautiful sea, as well as got hooked on playing a new card game at night at our apartment’s rooftop bar – as a way to past the time in the evenings. 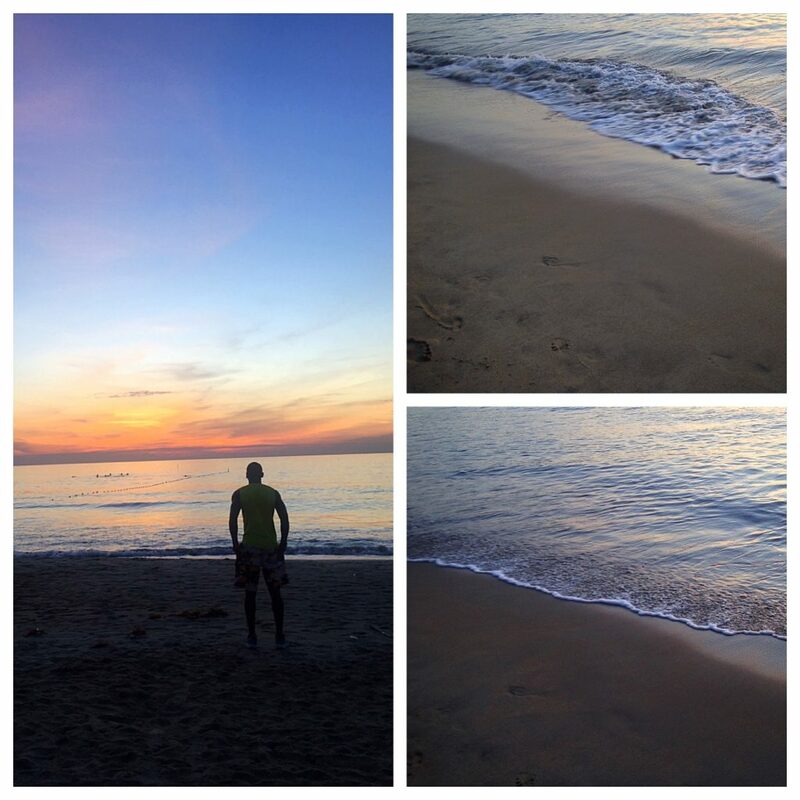 But perhaps the most enjoyable activity that we added to our week was our evening run/workout on the beach. At 5pm the sun starts to head behind the high-rises and the breeze begins to blow off the coast. The locals invade the beach after the tourists have retreated from their day sunbathing under the scorching sun. And the temperature is absolutely perfect. 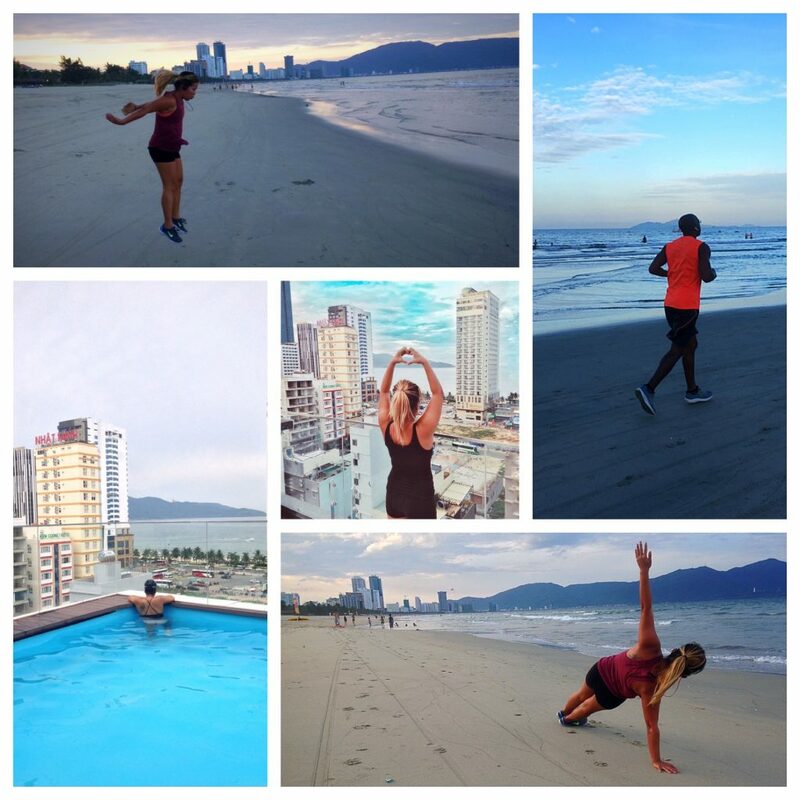 If there was one thing that we did that truly enhanced our time in Da Nang, it was spending a few evenings each week exercising on the beach. It was the true definition of focusing on the fundamentals and maximizing the moment and the place. A week ago while having lunch with my friend Yoway at one of our favorite places in Chiang Mai, he said something that resonated with me about my time in Da Nang. He said something to the effect of, “If I visit a place and I don’t like it, then I feel like that’s my problem.” Essentially, he was saying it’s a matter of perspective. Mindset matters. 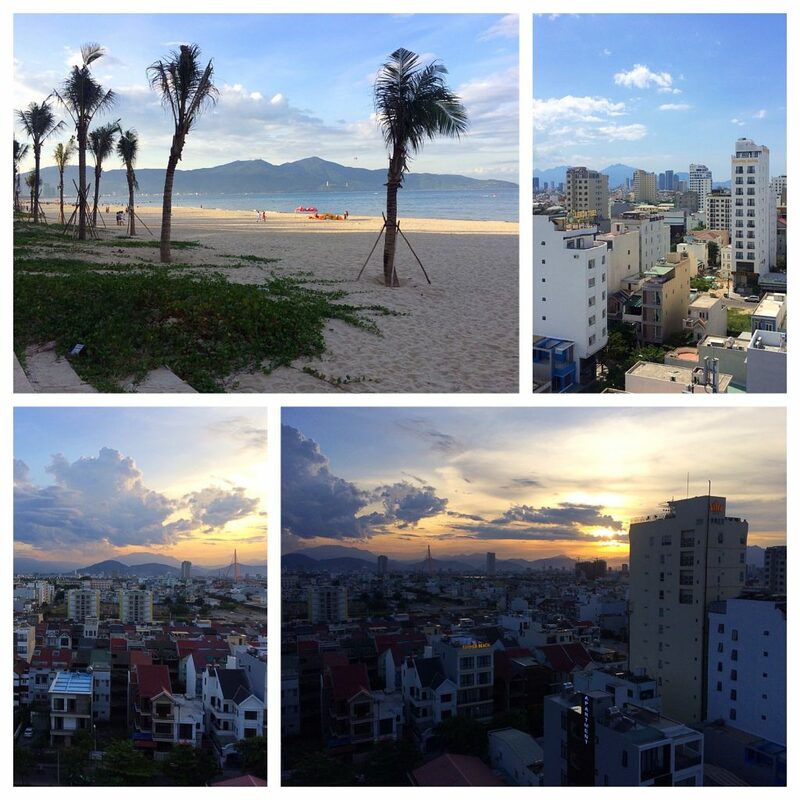 For many reasons, I enjoy spending time in Da Nang (and Vietnam in general). But as I’ve noted in previous reflections about my time in the country, it becomes a different experience when you visit a place for a few days versus settle into a place for several weeks or months. How you move through the city, spend your time, and develop your creature comforts evolves as your time grows in a place. When only spending 2-4 weeks in a place, it’s easy to give into the initial frustrations and simply wait it out to the next place. Yet, in doing so, it’s possible to miss out on many of the opportunities to learn more about the place and yourself in that time. Each change is a season offering new experiences and lessons. As a nomadic traveler with the freedom to pretty much go anywhere I choose at a given time, the feeling of “having to be somewhere” is disheartening. It is as if in your mind you are moving from tourist to short-term local and you don’t want to make that adjustment – for many of the daily challenges mentioned earlier. You’re resisting the challenge of the change rather than embracing it. Yet, upon recognizing the limitations this perspective creates for your own experience, it’s incumbent to focus on the fundamentals. Drill down to the simplest aspects of your personality and connect with those things that give you basic pleasure. It could be as simple as exercising, finding a random spot that speaks to you, playing games and laughing, or waking up at 5am to enjoy an amazing sunrise. We stayed only two blocks from the beach for four weeks but it wasn’t until our last two days in the city that we actually treated ourselves to its magnificent sunrises. Just like the evening sunset, the morning is also when the beach comes alive with locals. You’d never know that it was daybreak by the amount of people walking, swimming, or exercising on the beach. Viewing the sunrise was the epitome of being in the moment and focusing on the fundamentals. Standing there, overlooking the sea, hearing the rush of the waves, as the sky turned purple, orange, and then bright blue – I closed my eyes and thought about shooting free throws. The sound of the waves crashing sounded just like the “swish” the ball makes after leaving my hands for the perfect shot. If I closed my eyes and listened long enough, I could feel like I stepped to the line and taken a series of shots, all perfect and all to reset myself – my perspective. It was perhaps the most fitting way to end our season in Da Nang – with new experiences and lessons learned.